When it comes to skincare, my routine is never complete without an eye cream. 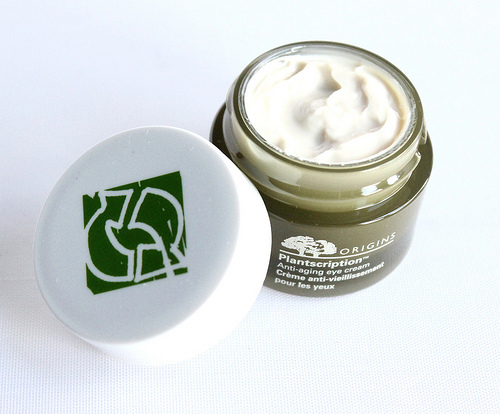 My eye area tends to be on the drier side more often than not, so a moisturizing eye cream is a total must have for me. 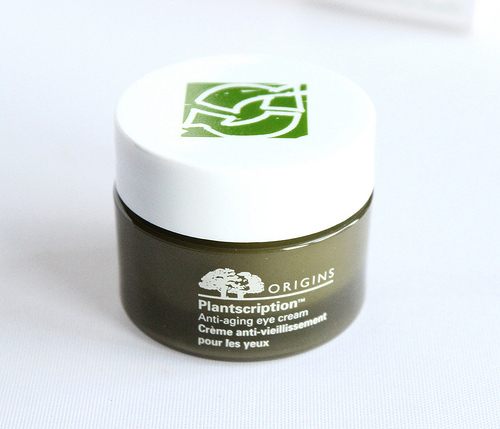 A few weeks ago Sephora had a special offer for VIB insiders where they would receive a full-size jar of Origin's Plantscription™ Anti-Aging Eye Cream ($43.50 value), with a $35 purchase. A full size jar of eye cream? You know I couldn't pass on this offer. Count me in! I was actually in need of a new eye cream so this product couldn't have arrived at a better time. I am 25 years old so, aging eyes aren't that much of a concern for me at the moment. I can't really comment on how well this eye cream performs when it comes to lifting the eye area, since I am primarily looking for hydration. But I will say that I do have a few fine lines underneath the eye area that I would love to soften out. I have been using this eye cream both day and night and I have to say, I quite like it. The creamy, rich texture is a dream to apply, and I love how quickly this absorbs into the skin. After application, my concealer just glides on over this stuff, and the skin around my eyes feels and looks so much smoother. Also, I have noticed that the lines under my eyes aren't as prominent-looking, like they usually are. I have sensitive skin so it's a huge plus that this eye cream is gentle and doesn't irritate my delicate eye area. 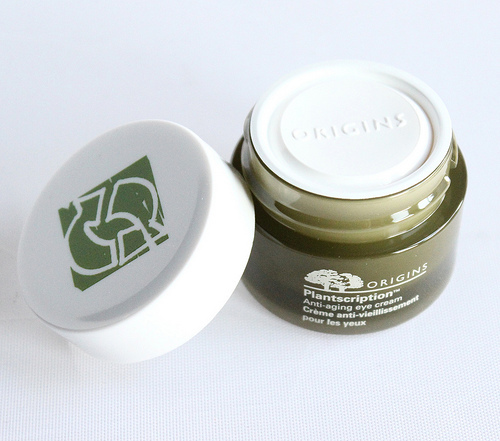 Overall: Origin's Plantscription™ Anti-Aging Eye Cream delivers the results I want to see, and I am glad I came across it. I do wish that this would have contained some sort of SPF, though. That inclusion would have been a nice addition. I do like this eye cream and I am going to use up every bit of it, but truthfully, I don't know if I would purchase another jar of this when I am done using this one up. Taking care of your skin is important and I understand that skincare products are an investment-especially eye creams. But I think I am going to try other eye creams before I decide whether or not I will purchase this again, as I am sure there are other eye creams on the market that perform just as well, without the hefty price tag. 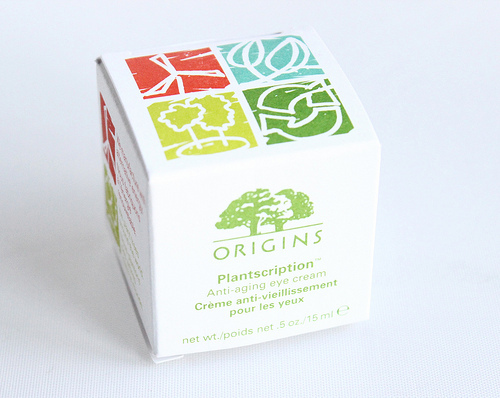 What do you all think of Origin's Plantscription™ Anti-Aging Eye Cream? Which are your favorite eye creams? Disclaimer: I am not affiliated with any of the companies mentioned above. I received this product as a free gift, with a purchase that I paid for with my personal funds.